25 Jan When is it Time to Hire a Professional Social Media Manager? Internet-based social media tools help you and your business to connect, listen, interact and engage with your potential customers. But as the volume and complexity of social media venues rise, it quickly becomes a time and labor intensive process to be able to effectively track, converse, and manage your own social media outlets. Check out these 5 signs to let you know when to let go of the reigns and let someone else manage your social media accounts. The world of digital marketing can be intimidating to a person who lacks the experience in the field. It’s a mix of marketing theories, psychology, sociology, art, and a little bit of technical know-how. The content you put out in traditional marketing methods such as newspaper or magazine ads, flyer distribution, event booths setup, cold calling, mailing newsletters, even billboards, may not be as effective in the digital world. You need someone who can study and analyze WHO your target customer is, WHAT message you should put out there, WHEN your customers are online (so they can see your ad or content), WHERE they visit when they are online and WHICH digital media they are spending time on the most. In knowing all these essential details, you can create campaigns and target your paid advertising to the correct audience, which will cut down your advertising costs in the long run. As a business owner, you know everything about your products and services to the bone. We can throw 10 questions at you and we bet you can answer them in a hot minute. However, in the eyes of a regular joe, your product or service can be the most complicated thing they have encountered. You need someone to relay how awesome your brand is, in the language that your audience will understand. Having a third party expert study and understand your brand, combined with their knowledge and experience, can give a more relatable and understandable content targeted to your users. Once your profiles are up and running, managing customer inquiries will also consume your time and effort, you will need someone who understands your brand to be able to respond to customer inquiries so you don’t have to. Your social media manager can be the bridge you are looking for to reach and retain your target demographic. Not everyone has the time or talent to research about industry trends and come up with simple to elaborate campaigns that will promote your brand. Creating an awesome campaign, whether big or small involves a mesh of minds between the business owner, product developer, marketing analyst, copywriter, graphic designer or a photo/video production team. It is with the cooperation of these different departments that you can create a cohesive theme that will be applied to your campaign materials. If you are a small business, you may not have these team members available at your disposal. Outsource the work to professionals who are already a mix of all the talent you need, at less the cost than hiring your own team. Facebook, Twitter, Linkedin, Instagram, Tumblr, Snapchat, YouTube…how many social media networks does your brand currently have? 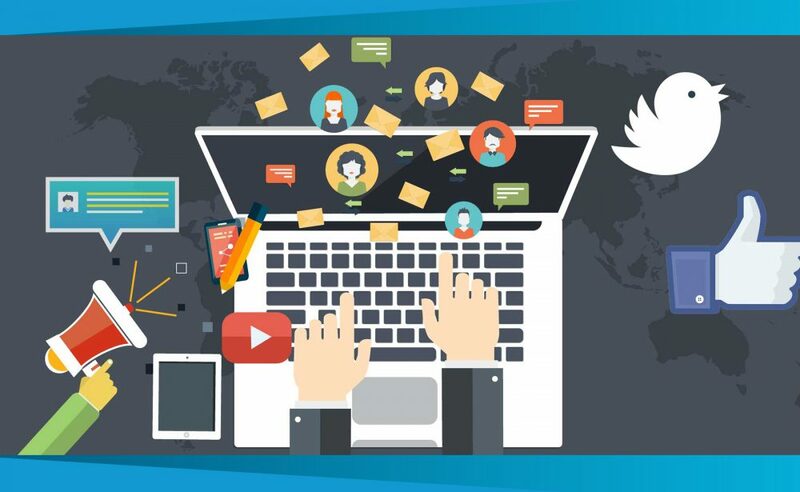 Each social network has its own way of publishing content and each one requires a detailed analysis and specific customized strategy for publishing content and interacting with your online community. What works for Twitter may not work for Instagram or on Facebook and vice versa, cross-posting does not do much to increase and retain your follower base. Once contents are created, your social media manager has to publish these contents at specific times when your audience are online. Regular updates are needed to maintain your community engaged and informed. Maintaining an active content calendar while studying how these posts fared with monthly analytics keeps your strategy optimized for the following months to come. It’s not just about posting photos of your product all the time, there is a science that goes behind each one so you can get the most engagement out of your followers. When you have production or logistics, operations, human resources, financials, marketing, and sales to worry about, posting on the social media and interacting with your online community is the least of your worries. Entrepreneurs are multitasking experts, however, the time you are spending pouring over years to daily’s worth of data just to create 1-3 social media posts can be very time consuming. Your time is best spent keeping the ship afloat and preparing for growth, and hopefully, planning on your expansion. Outsource the labor work so you can focus on your business and what you do best. Your brand’s social media messaging and visual branding plays a crucial role on how your customers perceive you. What you post can make or break your online reputation. Choose a qualified, competent, experienced, and responsible social media manager who can analyze data, use the latest web tools, keep up with trends, and employ creativity in your content. Interested in our SOCIAL MEDIA MANAGEMENT service? Learn more on how we can help you create and manage your online community. Facebook Says No to the Dislike Button A Dislike button, like a double-edged sword, has its pros and cons. Are you in favor of this proposed feature?